Here you will find a wealth of information on our anti-slip flooring resources and structural GRP Products. Discover everything you need to know about GRP, its uses and properties. Unsure what GRP is ? 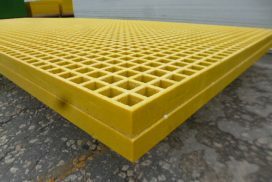 Discover what GRP is used for and why at GripClad, we use GRP for our gratings, handrails, fencing and Stair Treads covers and other safety products. Discover some of the more common uses for GRP gratings. Here you’ll find examples of our GRP grating clips and joinings. The use of GRP is growing. As more and more industries discover the desirable properties of this material, its use of expanding. Get your questions about GRP answered right here. Ever felt confused about the difference between GRP and steel? Not sure what's the best choice for you? Find out about the properties and benefits of GRP. If you're unsure whether GRP is right for your application, discover more about the advantages and disadvantages of using GRP here. Our anti-slip products are chemical and fire resistant. This makes them ideal anti-slip solutions for industrial works and chemical facilities. Find out more about the superior fire and chemical resistance of GRP. 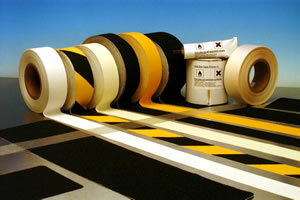 As well as GRP gratings and stair nosings, we provide a huge range of anti-slip nosings, tape and pads. Here you'll find everything you need to know about our adhesive technology. Adhesive is the most essential part of anti-slip tape and pads. Find out more about our adhesives and release agents. For the best results in durable, efficient and safe anti-slip tape, follow our specialist installation instructions. Understanding slip testing and slip risk data. To make sure floor surfaces designed and created do not put people’s safety at risk, surfaces need to be tested. Find out more about slip resistance testing. Tactile paving regulations define the shape, size and location of safety flooring for the visually impaired. Find out more about tactile paving standards. Slip and fall accidents are one of the most common causes of injury, which can result in broken bones in just a few seconds. Slip and Fall Hazards can put You on your back and out of action. While it may be easy to categorise injuries as "accidents", the truth is that many of them could be prevented if the property owner took more care. Very often we receive request to solve a slip hazard problem but it takes a victim to have a nasty slip accident beforehand, that is a fact. They wait until someone has a slip or fall accident to confirm that a hazard actually exists ! The potential for a slip, trip or fall can happen almost anywhere and at anytime. A simple act of negligence by a property owner can force you to endure painful and costly medical treatment and weeks or months off work. Businesses will often lay anti-slip floor mats by doors and in well-trafficked areas but they present their won hazards. An overused mat will eventually curl or peel at the edges, which creates a potential trip accident. Mats that have been laid to soak up water or melted snow may become too saturated, posing a slipping hazard. Mats incorrectly laid may also have wrinkles in them or shift out of position as people walk over them, increasing the odds of someone catching the front of their foot as they enter. Companies rely on staff to keep their businesses running smoothly, and that involves a flurry of activity and many different moving parts. Customers are expected to navigate restaurants with swift waiting staff and supermarkets where employees are constantly restocking items etc. The chances of a fall or slip increase even further if a business remains open to the public during a renovation or refurbishment. Extension cords, ropes, power cables, and other lines run across walking areas are essentially tripwires to passer-by. If it necessary to run cords across walking surface, they should be taped down, covered with mats, and have a clear signage warning of the danger. Slips on spilled water or ice are leading causesWater. Slips on spilled water or ice are leading causes of fall injuries, and there are nearly limitless ways water on a surface can lead to a fall. Outdoors, recessed pavement and potholes can collect puddles, downspouts can cause flooding across lawns and into businesses, and metal and wooden steps become slick after a few moments of rainfall. Indoors, customers can leave puddles from their jackets and umbrellas on rainy days, while pipes in restrooms and eating areas can cause puddles year-round. Stairs pose a particular danger of falls, since a tumble down a flight of stairs or over a railing can result in more serious injuries than a fall on one level. 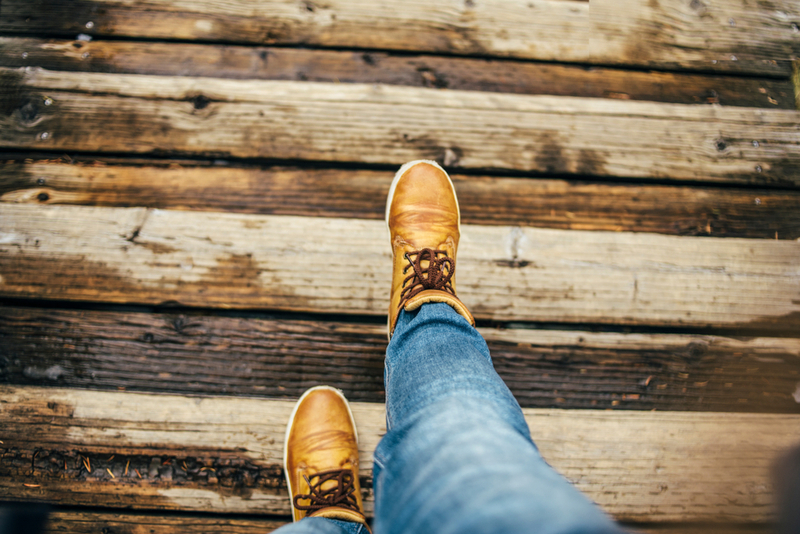 Steps must be constructed and evenly planed to prevent tripping, be free of clutter or debris, and should be in good condition with adequate tread. In addition, stairways used by the public should always have strong handrails and proper lighting. Pavements, Car Parks, and Walkways should be clear, even, and dry. Uneven pavement, broken concrete, changing grades, high Kerbs, potholes, tree roots, and even landscape edging near walkways can cause trips, especially if these areas are not well-lit. If there are objects blocking a walking path, pedestrians may suffer falls or other injuries by attempting to walk around them.